Barclays is one of the banks that received a subpoena from the NY attorney general's office for its role in Libor manipulation. 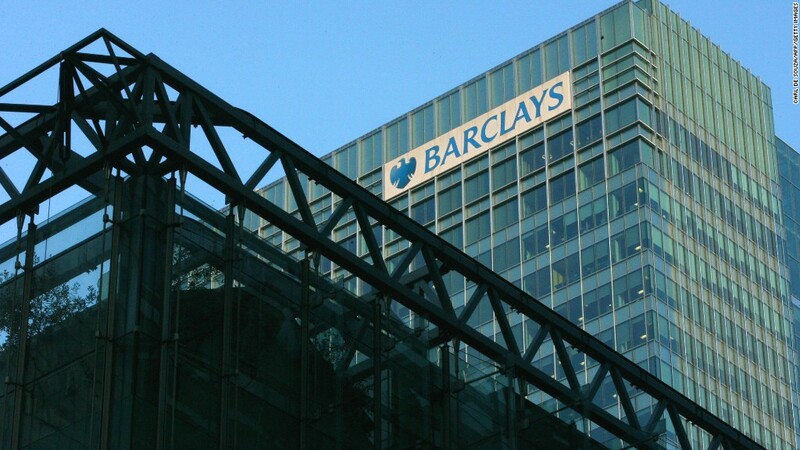 Barclays (BCS), Citigroup (C), Deutsche Bank (DB), HSBC (HBC), JPMorgan Chase (JPM), Royal Bank of Scotland (RBS) and UBS (UBS) have all received subpoenas, according to the source. In July Schneiderman and the Connecticut attorney general's office told CNNMoney that they had been conducting a joint investigation into the Libor scandal for several months. The New York attorney general's office did not return requests for comment. A representative from the Connecticut attorney general's office declined to comment Wednesday. Libor is the world's most important benchmark for interest rates. Trillions of dollars in credit cards, home mortgages and car and student loans, as well as derivatives, are tied to it. Representatives from Barclays, Deutsche Bank, HSBC, JPMorgan Chase, RBS, declined to comment on the subpoenas. UBS did not return calls for comment. A Citigroup spokeswoman referred to an earlier regulatory filing disclosing that New York and Connecticut had requested documents and information related to Libor. The subpoenas are yet another sign that investigators are pushing forward with their probe into how banks allegedly manipulated this key interest rate. The potential penalties are expected to add up for major banks. -- CNN's Rick Martin and CNNMoney's Hibah Yousuf contributed to this report.